After parting ways with Aeroplane partner Vito DeLuca last year, Stephen Fasano soon resurfaced as The Magician. Under this new moniker, he started releasing brilliant mixtapes of shiny Italo Disco on SoundCloud and he produced remixes for the likes of The Aikiu, Beni and Lykke Li. 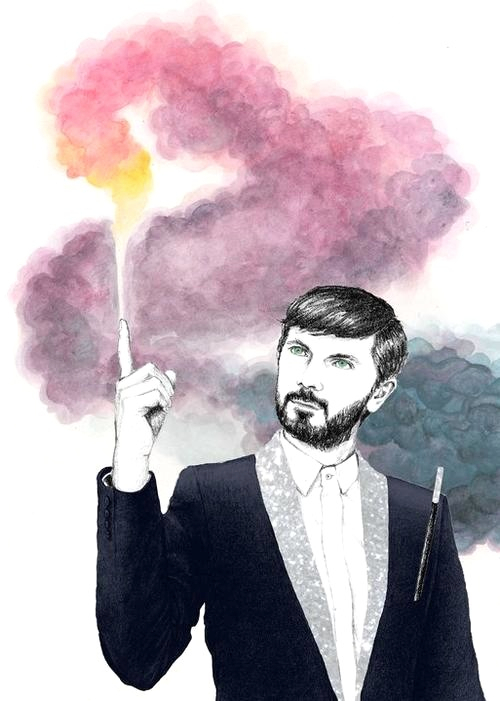 Fasano and French electro master Yuksek have been collaborating ever since the former’s split with Aeroplane and together they have created the duo Peter & The Magician. The project has been stirring up excitement and curiosity among DJs and electro lovers since the release of their first single “Twist” on Kitsuné Maison Compilation 11 back in May.